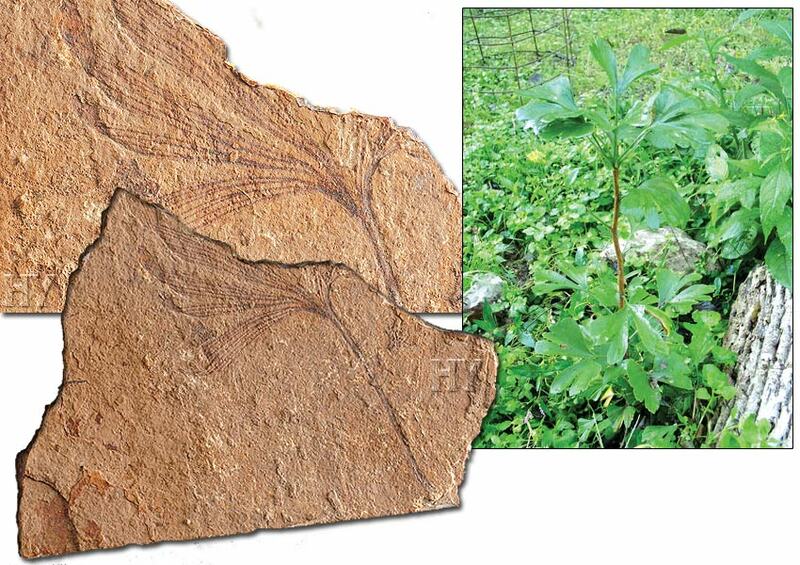 As Corner also states, fossil findings reveal that plants have not originated from a common, imaginary ancestor but were created individually with all the features they currently possess. 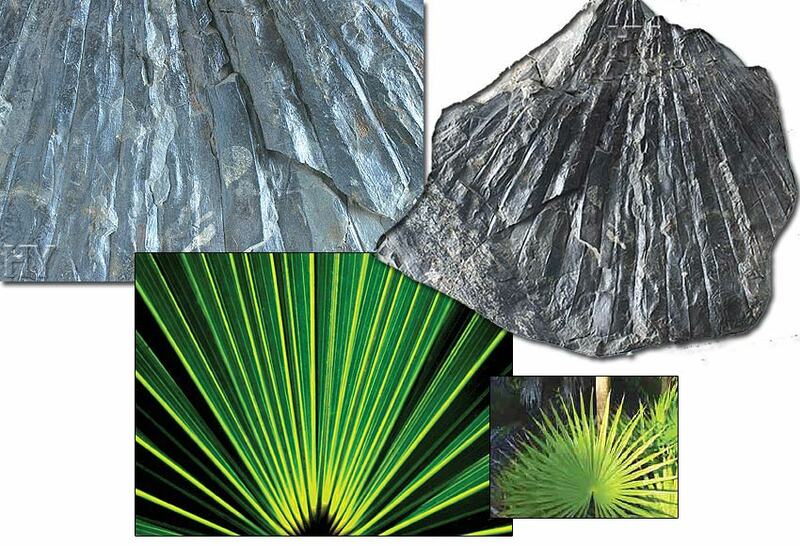 One of the fossils displaying this fact is the 300-million-year-old palm fossil pictured. Palms have remained the same for hundreds of millions of years, which stresses the baseless nature of the theory of evolution. Plants have extremely complex structures, and it is impossible for them to have emerged through coincidental effects or for one species to have transformed into another, as evolutionists claim. Fossil record also reveals that different plants have emerged on Earth momentarily, with structures peculiar to them and that they had no evolutionary "ancestors" before them, as evolutionists claim. For instance this 320-million-year-old fossil fern indicates that these plants have not changed for hundreds of millions of years. 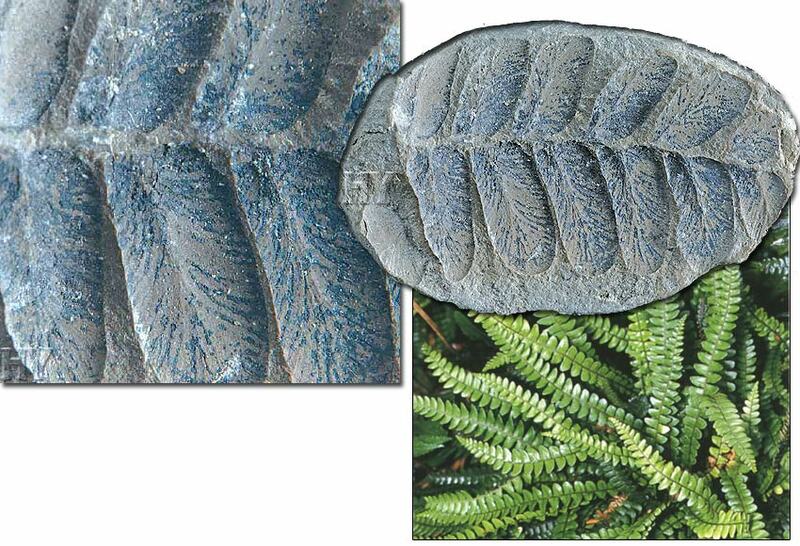 Ferns in our day are no different from those that lived 320 million years ago. In the face of this fact, evolutionists can give no reasonable scientific answer. 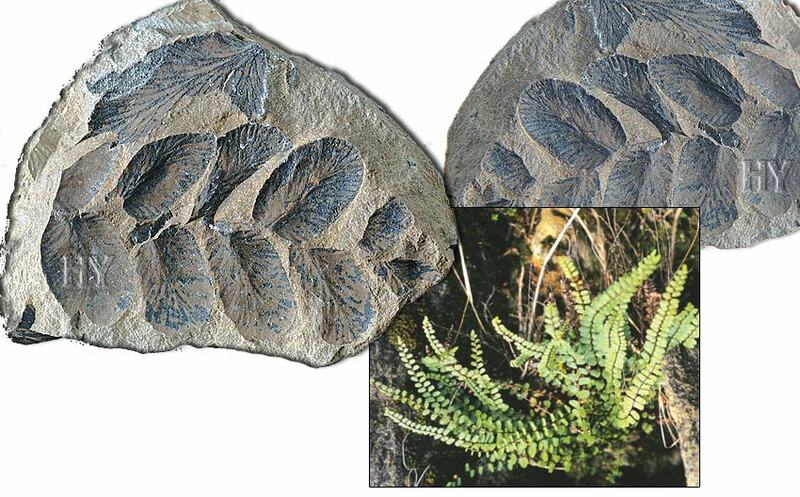 The fossil pictured is evidence that ferns did not evolve from other plants, and have not transformed into ferns of our day by gradual changes. They have always remained as ferns, with all their features and functions. 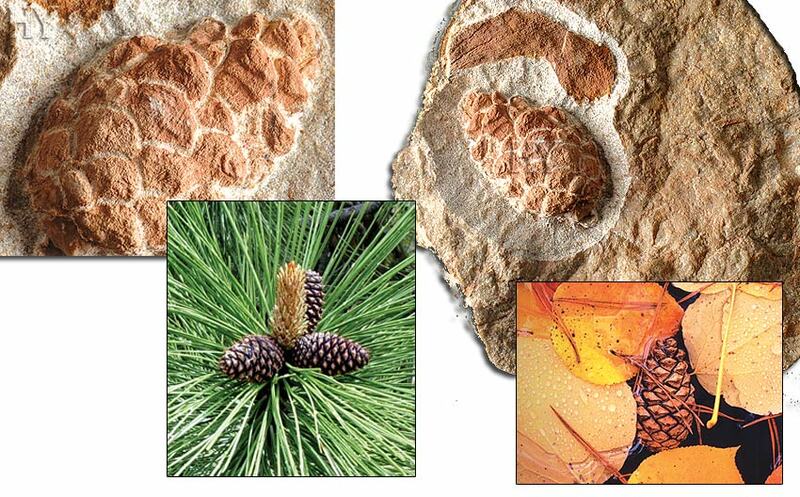 This fossil, 320 million years old, is evidence that as with all living and non-living things, Almighty God created plants; and that evolution is nothing but a scenario based on a figment of imagination. 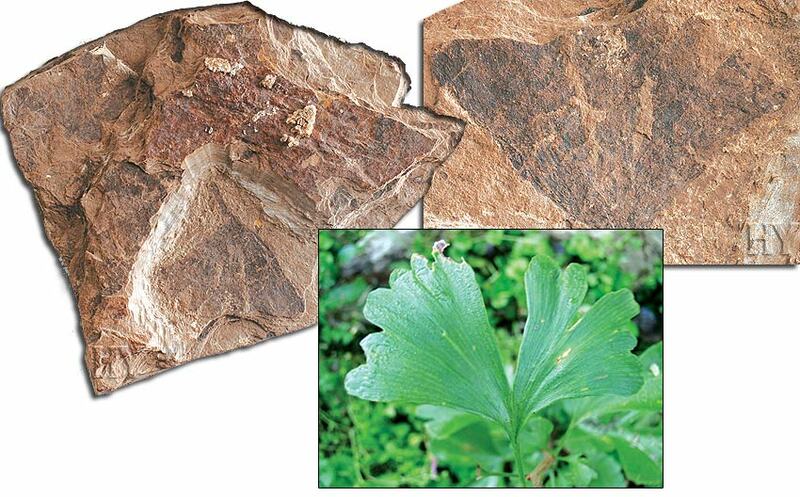 One piece of evidence invalidating the scenario of plants' evolution is the 50-million-year-old ginkgo leaf pictured. 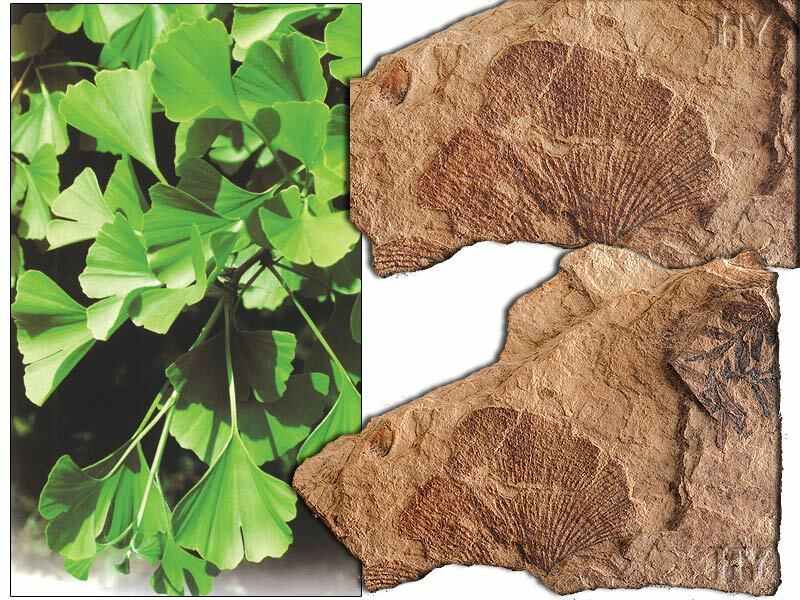 This fossil indicates that ginkgos have always remained as ginkgos and have not originated from another plant or transformed into another species. This places evolutionists in a deadlock. If a living being preserves its structure with no changes for millions of years and if it possessed all its current features millions of years ago, then it is impossible to say that this organism has evolved. 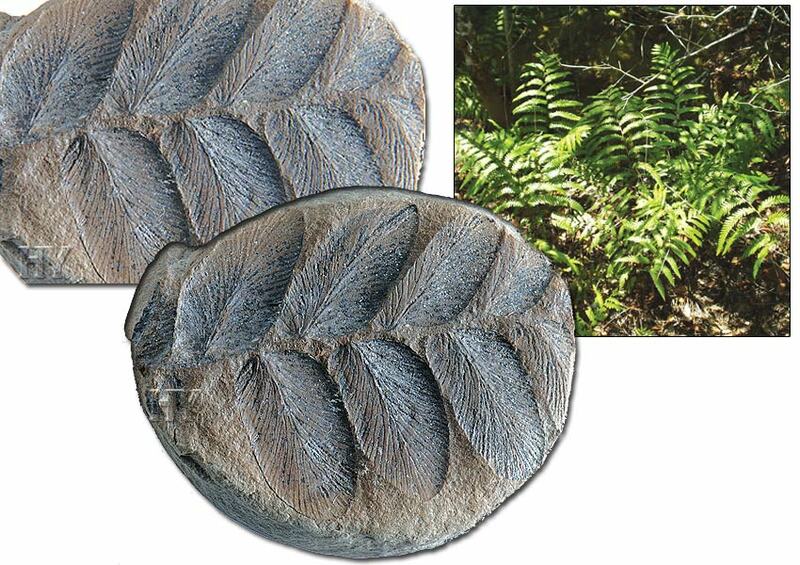 The 320-million-year-old fern fossil pictured is no different from ferns in our day—one of the proofs that living things have not evolved. If evolution took place, as Darwinists claim, then there had to be thousands of intermediate forms, and not the countless living fossils that remained unchanged on Earth. Evolutionists would continuously find fossils of intermediate species that changed from one life form to another, millions of specimens of "developing species." However, evolutionists have failed to discover even a single such intermediate fossil. They've failed to present a single organ developing in a single organism. As you can see, this ginkgo leaf has not undergone any changes since the Eocene period (54-37 million years ago). Scientists examining the structure of pine cones were astonished by their reproductive structures. The cones which produce pollen make use of aerodynamic forces. Research has shown that these plants can change the wind's linear movement in three different ways. First, the branches and twigs direct wind's direction towards the center of the pine cone. Then, the wind in this area is directed and angled towards the cone's ovaries, where the seeds will be formed. In the second method, the wind, getting in contact with the cone's outer covering, whirls around its axis and tends toward the openings to the cone's interior. Third, thanks to the cone's projections, it causes turbulence that deflects the wind down, toward the cone's outer surface. (For further information, see Harun Yahya's The Miracle of Creation in Plants, Goodword Books, 2002.) No doubt that this tree, which lacks a brain and yet engages in making use of the wind's movements, employs a kind of wisdom that cannot be explained by coincidence, as evolutionists claim. Coincidences cannot teach a plant how to exploit the wind. Moreover, plants lack the ability to plan even a single part of such a complex system. This perfect structure in pine cones is the artistry of our Almighty Lord. A ginkgo leaf on a tree today is no different from the one that grew 50 million years ago or even before. The same holds true for all living organisms on Earth. The fact that they have remained unchanged amazes many evolutionist scientists. It has made many of them change their outlook, and brought others to see that evolution, which they had been defending for years, is only a fraud. Those evolutionists who insist in their error in spite of these facts are being entirely ideological, not scientific. Ferns that grew 320 million years ago were photosynthesizing, absorbing water from soil, taking benefit of sunlight and reproducing by spores just like those alive in our day. These plants that have the same features for hundreds of millions of years have clearly not evolved. However, Darwinists fail to recognize this obvious fact, due to their ideological concerns. Zelkova serrate is native to Japan, Korea, China and Taiwan. In Japan, it is known as keaki, a deciduous tree growing from 20 to 35 meters (65 to 114 feet) tall, with quite broad leaves. 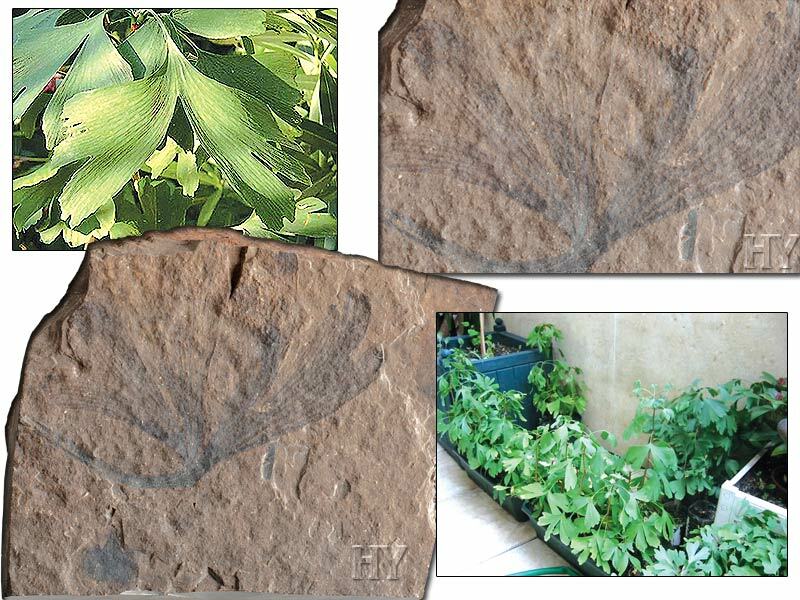 Like all other plants, keaki have remained the same since the time they first existed, and fossil record supports this. 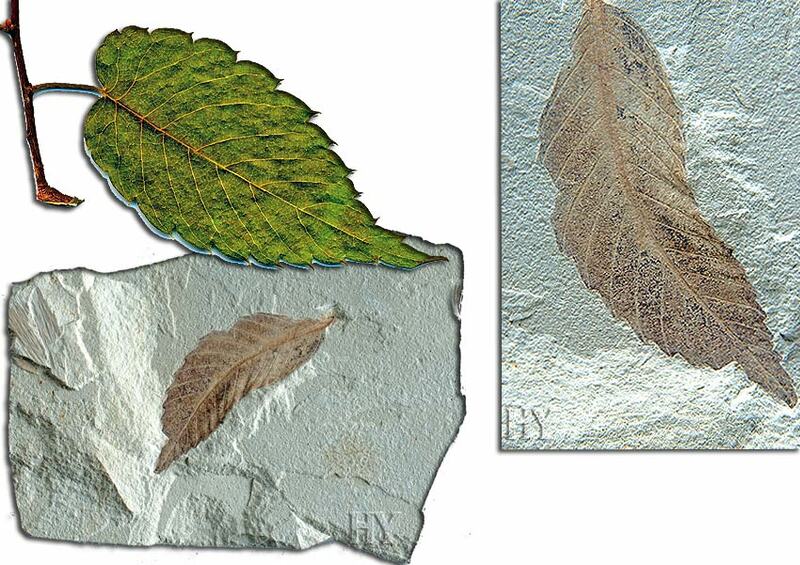 The fossilized keaki leaf pictured is 45 million years old, but identical to the keaki leaves of today. Insentient atoms cannot come together coincidentally and make up a single cell of the ginkgo leaf, with its perfect appearance. Yet this is exactly what Darwinists claim. That is why they try to prove that unconscious atoms have succeeded at doing so, and why they constantly seek intermediate forms they have yet to find. However, as in the past, what they continue to encounter are living fossils. 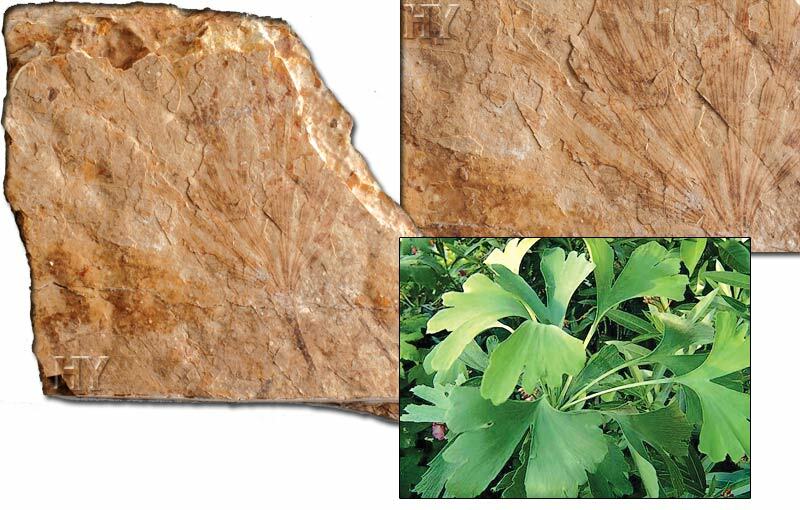 One example is the 50-million-year-old ginkgo leaf pictured. 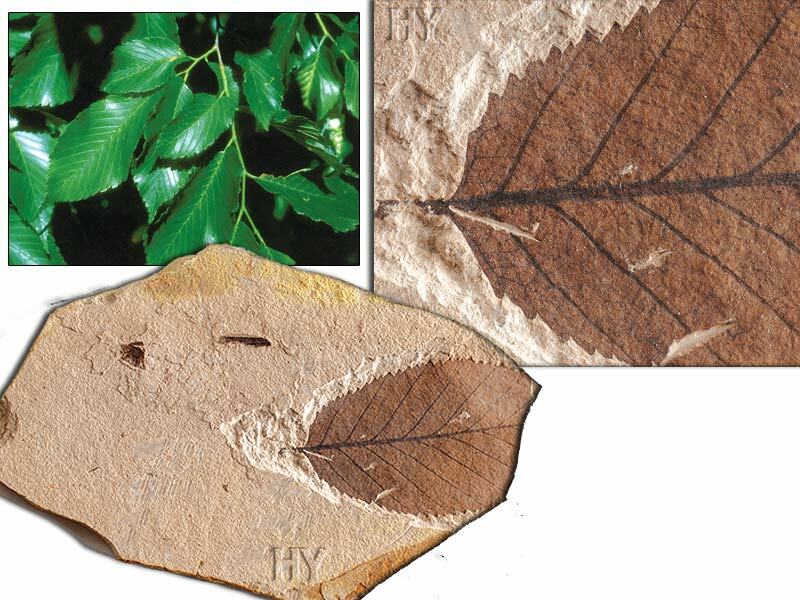 This mountain alder leaf from the Eocene epoch (54 to 37 million years ago) displays the features of our day' s mountain alder leaves. The details in the leaf' s vein system are preserved perfectly, providing evidence, contradicting evolution, that the species has undergone no change. 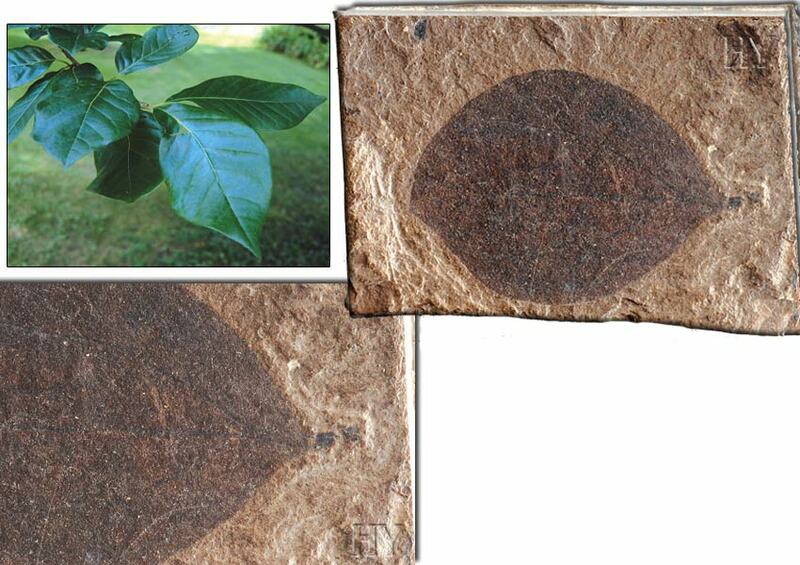 Another piece of evidence for a plant species that has not evolved is the black gum leaf fossil pictured. 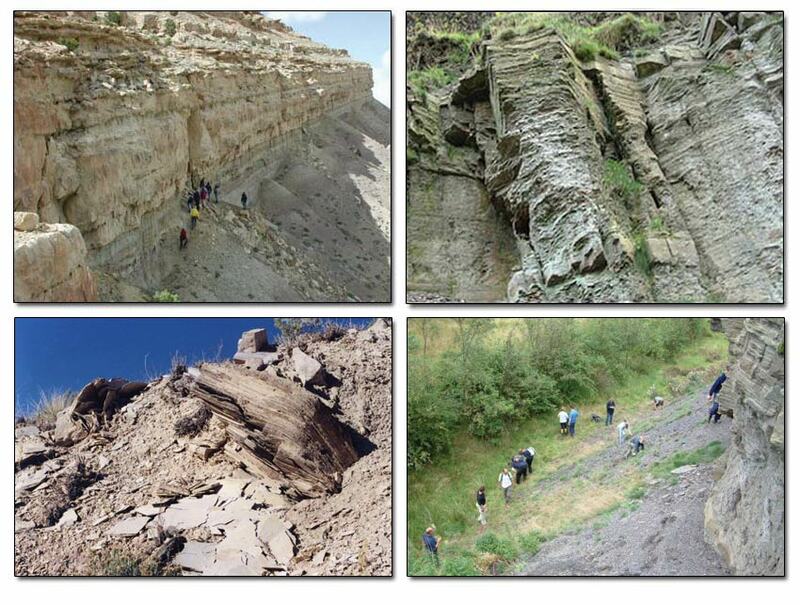 Examinations of the fossil reveal that the plant of 50 million years ago was no different from what it is currently. It has remained unchanged for millions of years. This example once again reveals the invalidity of evolution. 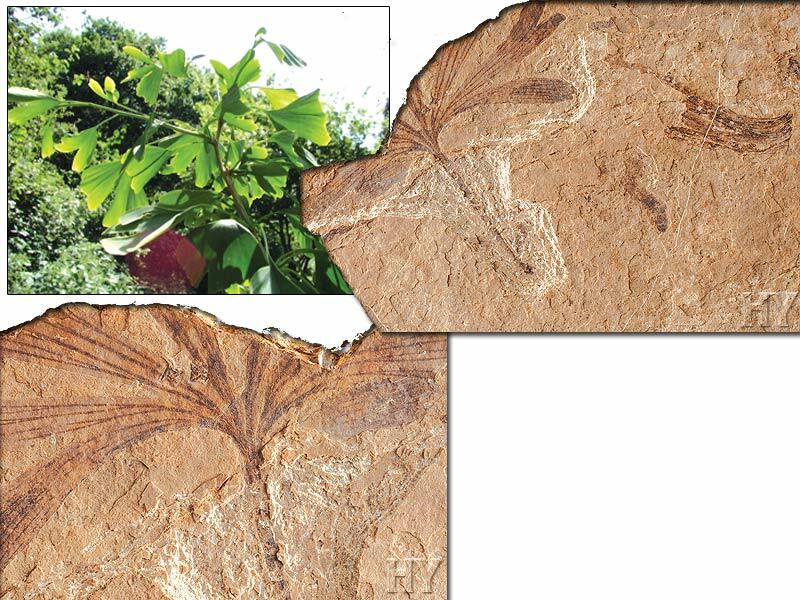 The theory of evolution cannot explain the origins of living organisms and is also desperate in the face of fossil ginkgo leaves, showing that the species has remained unchanged for tens of millions of years. Such fossils, proving that living organisms have stayed the same as long as they've existed, have dealt a fatal blow to the theory of evolution. As many other branches of science, paleontology also confirms that Creation is an obvious fact. God is able to create all organisms perfectly at any time, and in any form. Our Almighty Lord creates any living being upon His order " Be!" The Earth abounds with perfect and complex living things that came into existence with His will, species that have displayed the same perfect features throughout history and—by God's will—have proved that they were created in one moment and in perfect form. Whether Darwinists accept this fact or not, all paleontological evidence will continue to demolish their theory. That is because, as is in the case of this birch leaf that has remained unchanged for 50 million years, paleontology continues to provide specimens of living fossils. Claiming that intermediate forms must exist between known fossils, Darwinists try to deceive people. Yet countless living species and their fossil counterparts reveal clearly, and with adequate proof, that a process such as evolutionists claim to have existed never occurred. Those who continue to believe in the theory of evolution despite these facts are Darwinists. They ignore this obvious evidence revealed by the fossil record and trust that these imaginary "intermediate forms" will be found one day. 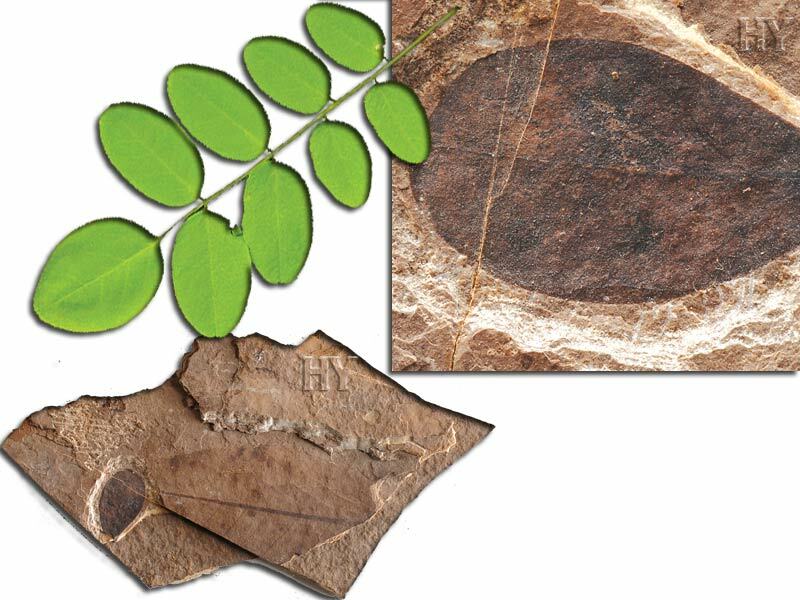 One of the living fossils that refutes Darwinists' hopes and keeps them from deceiving people is this 50-million-year-old robinia leaf pictured. Like all other living organisms, plants too emerged in the fossil record quite suddenly and with structures peculiar to them. The appearance and structures they displayed millions of years ago is the same as the appearance and structures they do now. This shows that living things are created by One having a superior wisdom, that is, our Lord, God. 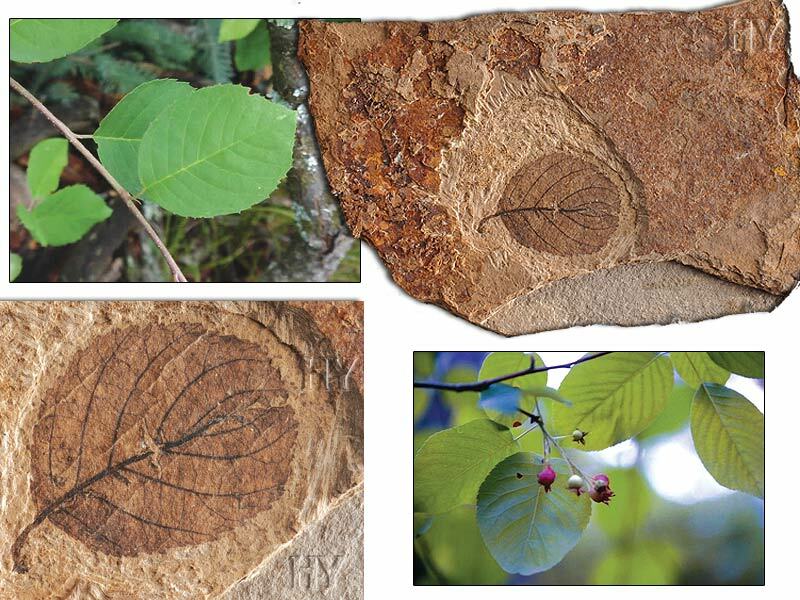 One piece of evidence is this serviceberry leaf, about 50 million years old. Throughout history, turtles have remained as turtles, gnats have remained as gnats, ants have remained as ants and ginkgo leaves remained as ginkgo leaves. 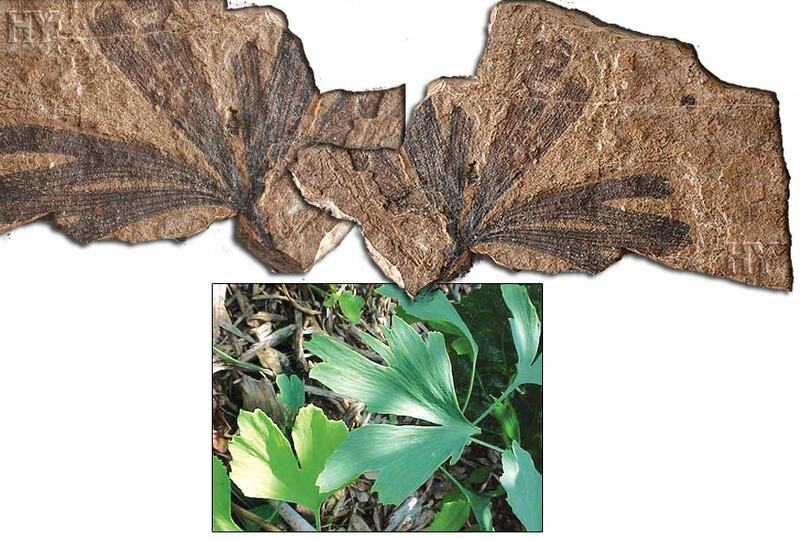 No matter how old a fossil ginkgo leaf we examine is, we see that it has the very same structure of today' s ginkgos. 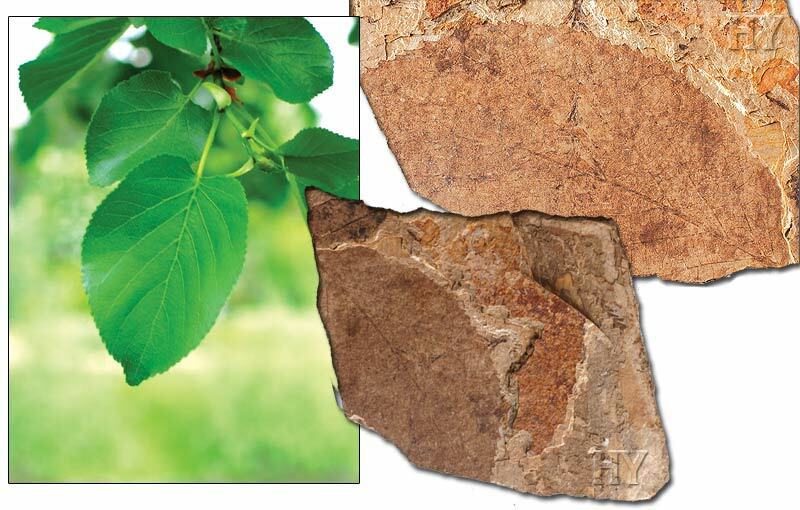 The leaves are the very same, whether 50 million years old or hundreds of millions of years old. Like all other living things, the ginkgo has not undergone any changes and has not lived through any process of evolution. Each species is created in the same way with the superior artistry of our Lord. 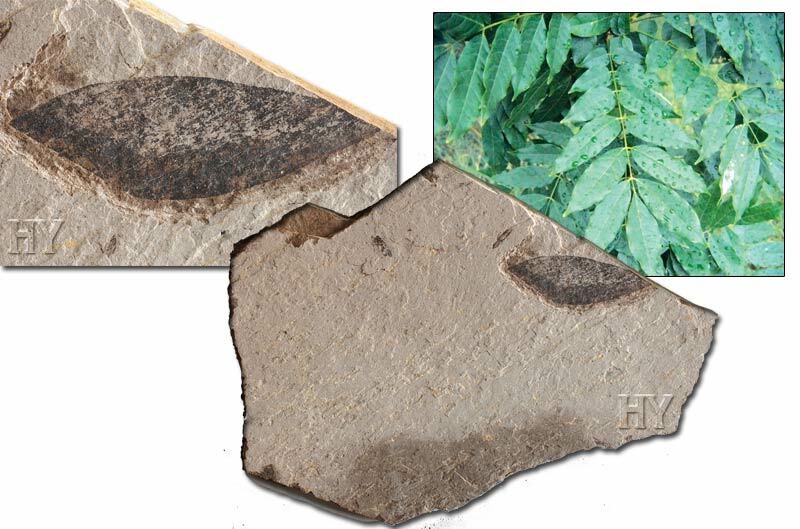 Pictured is a fossilized elm leaf, 50 million years old. As it illustrates, the elms that lived millions of years ago and those of our day are no different. This tree has never undergone any changes, as the advocates of the so-called "punctuated equilibrium" or those who favor the imaginary "gradual evolution" put forward. No matter how hard evolutionists, lacking proofs, try to adapt their theory to the situation they encounter, this truth will not change. Living fossils have refuted evolution. Of the Earth' s rocks, 99 percent has been excavated, and roughly 100 million fossils belonging to 250 thousand still-living species have been unearthed. Among these fossils, there exists not one intermediate form, or any fossil belonging to a primitive version of a "later" organism. From the first moment they appear in the fossil record, living beings display complete and complex structures. 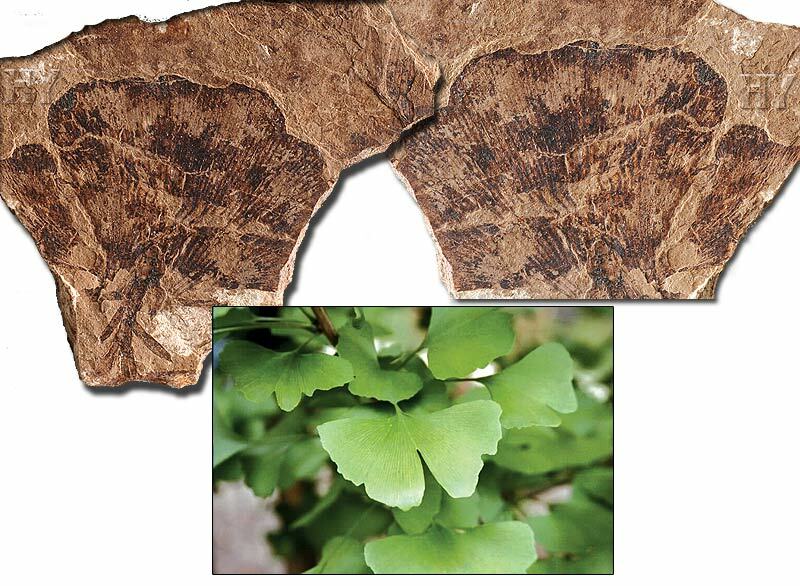 This ginkgo leaf from the Eocene epoch (54 to 37 million years ago) is no different from the ginkgo leaves of our own day. According to the evolutionist suggestions far removed from science, living things evolved from one another. In such a case, there must have existed intermediate species between two known species and strange, inadequately developed versions. And the number of these intermediate beings' fossils should exceed millions. However, fossil record lacks such intermediate stages. No one has ever found a single one of these specimens. From the first moment they existed, living things have enjoyed flawless and perfect structures. Living organisms of our own day also possessed their current features millions of year ago—a fact disclosed by the fossil record. 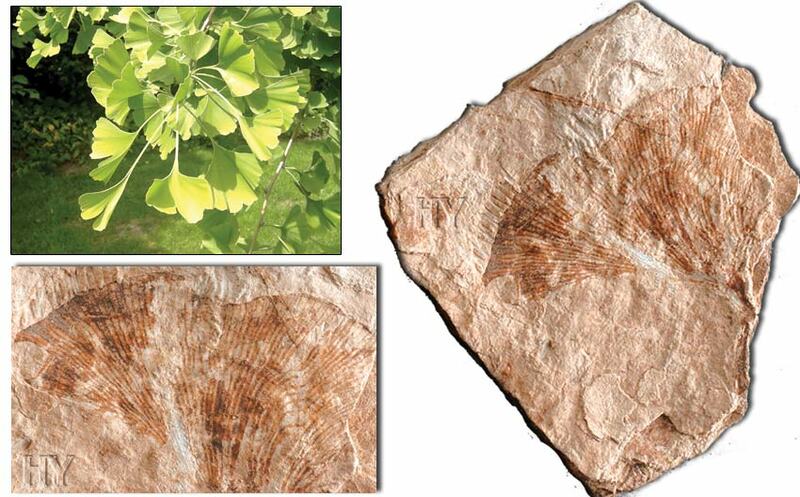 This approximately 50-million-year-old ginkgo leaf proves this once again. 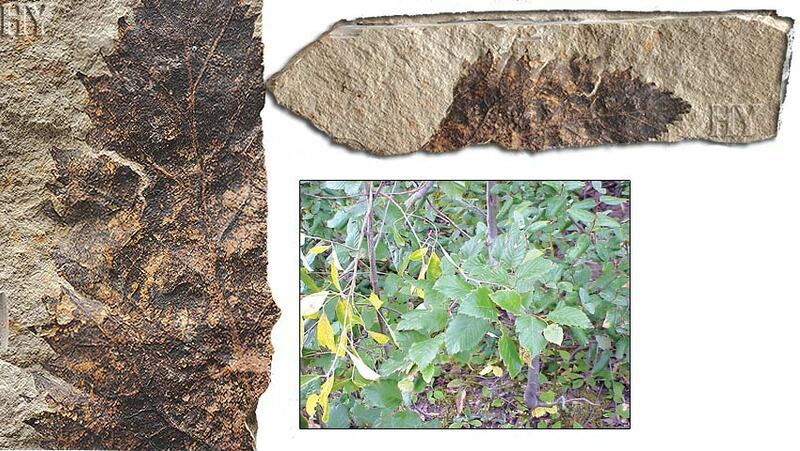 This alder leaf of 50 million years ago is only one of the millions of examples showing that living organisms have remained unchanged for many millions of years. Evolutionists have claimed approximately a dozen fossils to be intermediate forms, but they in fact belong to complex organisms of different types that by no means show any features of an intermediate species. Some of these, in fact, have been exposed as examples of fraud. Evolutionists have no evidence that will justify their claims; and living fossil specimens constantly confirm this fact. Walnuts are trees between 10 and 40 meters (33 and 130 feet) tall that grow in almost all corners of the world. 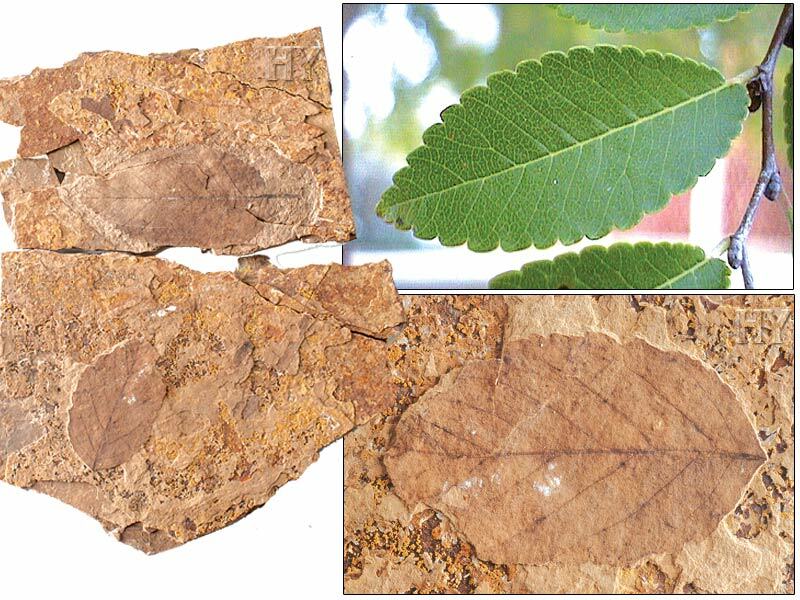 This fossilized walnut leaf of 50 million years ago is no different from the walnut leaves that can be seen almost everywhere today. The fact of Creation is confirmed by countless pieces of evidence. In order to fabricate some evidence to support their own theory, evolutionists have to find an intermediate fossil that will prove the transition of one species to another. However, since evolution has never occurred on Earth, not a single intermediate fossil will be found to support this claim. For this reason alone, evolution lacks any scientific validation and is based totally on deception. 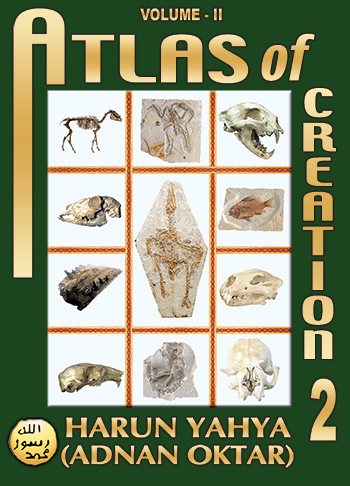 If evolution were true, then Darwinists would have to publish a book similar to this one, in which they display hundreds of intermediate fossil specimens. However, they can never accomplish this, because it is impossible. There is not a single fossil belonging to an intermediate "missing link." That is because, as the fossil record manifests, living organisms have not evolved. Looking at this single fossilized ginkgo leaf, you can easily understand that living organisms have remained unchanged—that is, they were created. The ginkgo leaf pictured is about 50 million years old, proving that the species has remained unchanged for millions of years. British paleontologist Derek V. Ager considers it a problem that fossils have never supported the theory of evolution, but have confirmed the fact of Creation. 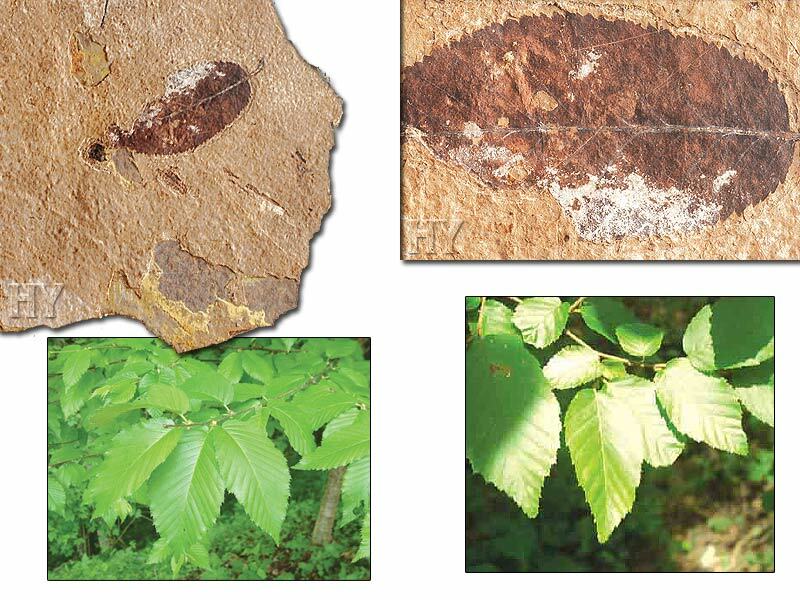 The 50-million-year-old alder leaf fossil pictured is one of the many fossils confirming that living organisms appeared all of a sudden on Earth. That is, they were created, have remained unchanged and have never evolved from one form into another. Scientifically, Darwin' s time was an extremely primitive period. Scientists knew little about living creatures' anatomy, and had no idea about genetics. According to them, cell was simply a small balloon filled with some jelly. As discoveries of genetic and anatomic features of living organisms came one after another, the theory of evolution proposed in such a time of ignorance has been rendered untenable. Paleontology, which reveals the unchanging nature of living beings' structures, has posed another threat to the theory of evolution. The fact that living organisms' complex structures have never changed once again shows that Almighty God created all living beings. 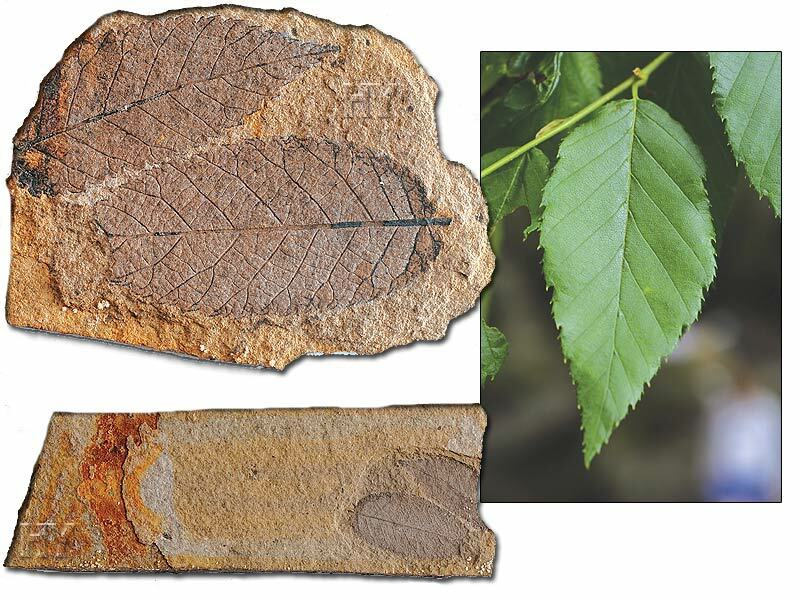 This 54- to 37-million-year-old elm leaf fossil suggests as much. 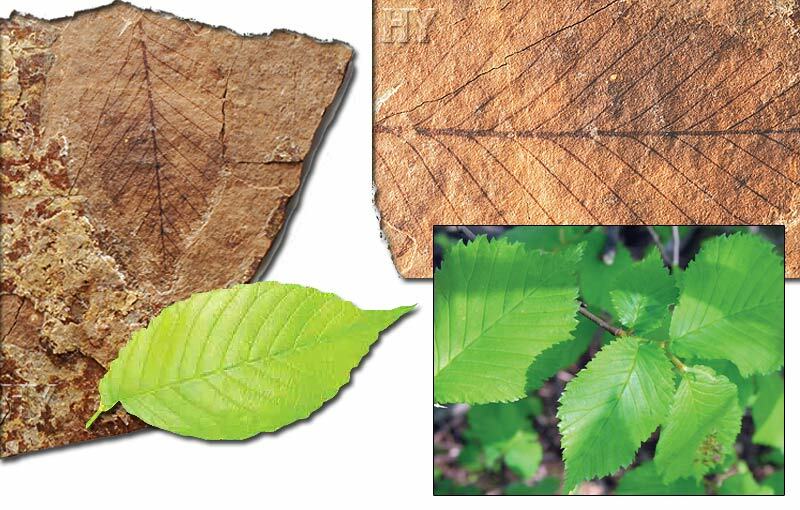 The leaf of a hop hornbeam, with one of the hardest woods of any tree on Earth, with green branches and grey trunk, lived 50 million years ago with the same features. Our Lord God created it in the same way millions of years ago, just as how He creates it right now. Those who support the false theory of evolution only to deny God's existence will never succeed, for the heavens and the Earth abound with obvious evidence of His existence. Today, Darwinists can no longer display fossils as evidence for evolution, for the paleontologists' researches since the mid-19th century in every corner of the globe have not found even a single fossil of any intermediate "missing link," though evolutionists claim they should be numerous. Today it is an established fact that "missing links" are an unscientific fable. What has been discovered in quantity are the living fossils. 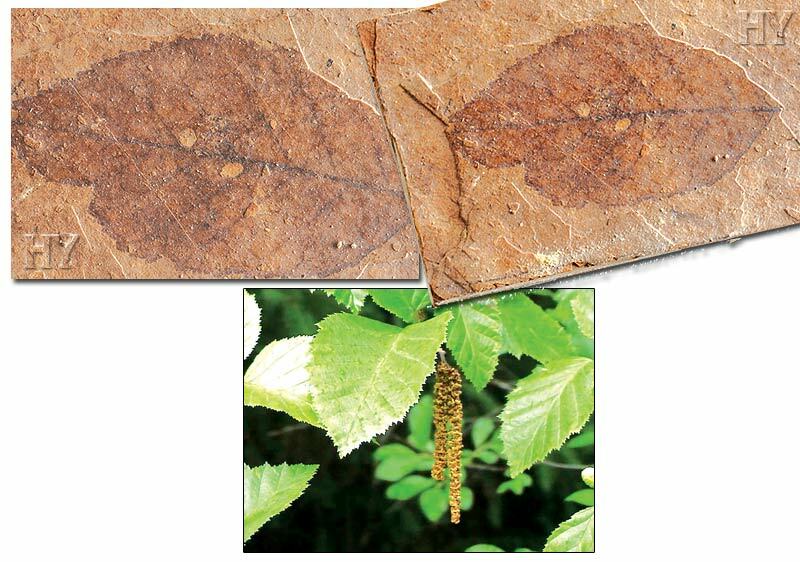 The 50-million-year-old alder leaf pictured is only one of those that have been discovered.